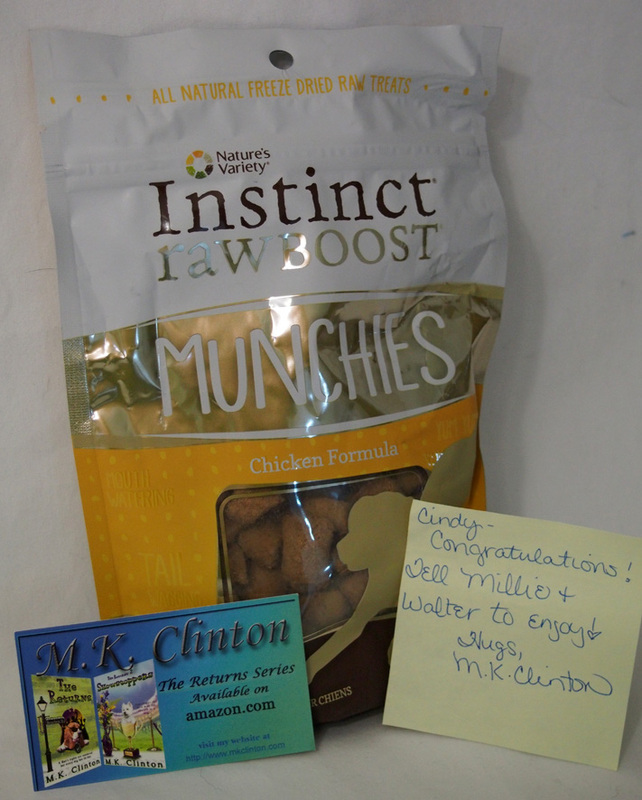 Tasty Tuesday – We are Winners! Hi everyone! It’s Millie & Walter here again. We are on a roll this week two posts in two days! A little while ago our friend Bentley from Barking from the Bayou (if you don’t already know him you should go visit) had a giveaway and we won! As you see in the note Bentley’s mom told us to “enjoy” the treats. Well we sure did but first we had to pose for the obligatory pictures. Come on mom…just open the bag! These sure do smell good. Even through a sealed bag. Please don’t make us wait too long. The bag even tastes good. I’ll grab the top and you grab the bottom. Maybe we can rip this bag open. Finally our mom used her thumbs and opened the bag for us. Oh yeah! Nom, nom, nom! Let me lick any left over crumbs off your hand mom. Those treats sure are tasty! 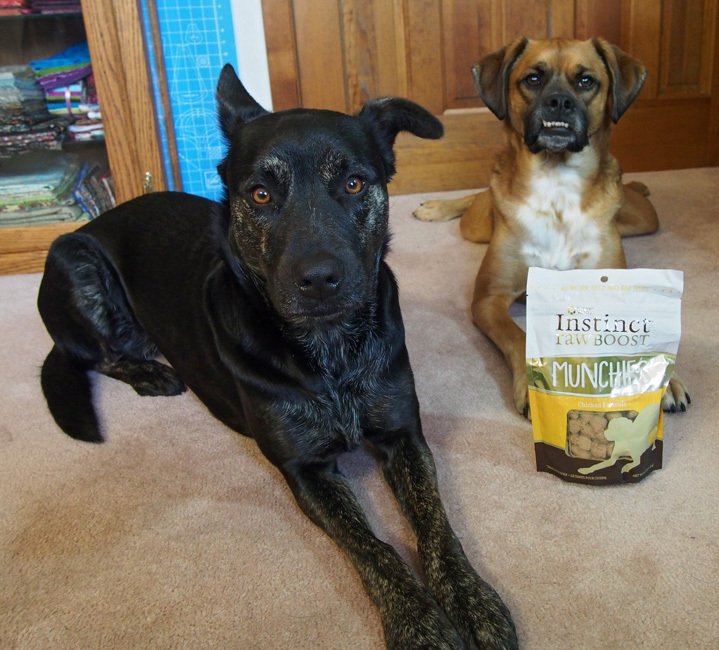 Thanks again to Bentley and his mom for hosting their contest so we could try these fantastic treats. 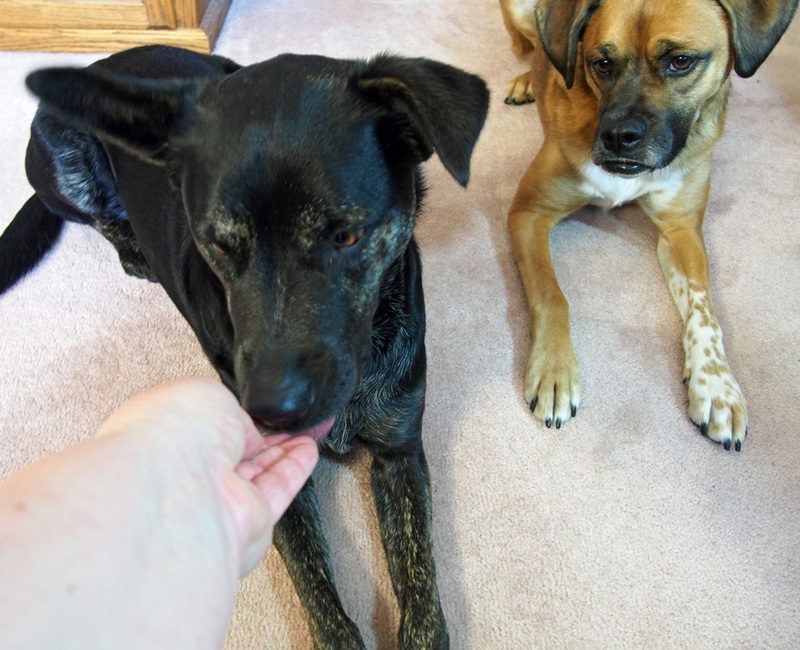 We are joining Sugar for her Tasty Tuesday blog hop. We hope you all get some tasty treats today too! Walter your face says it all…. waiting for food is the worst, right? 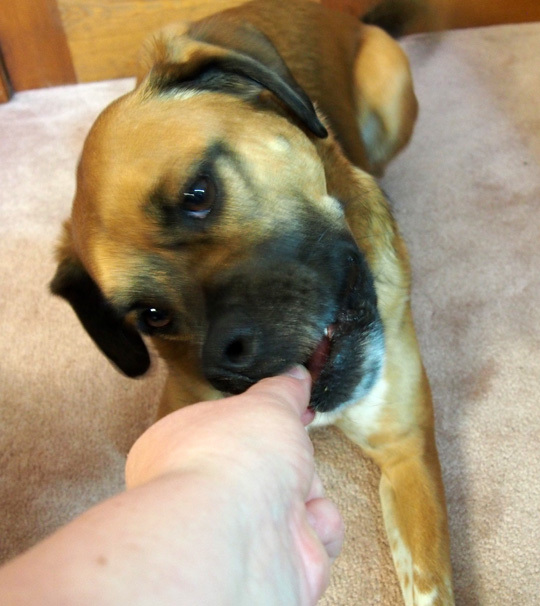 And I can see how tasty that treats are as your momma gave you one…. when I press my mouth on the screen, can she give me one too please? Those sound tasty, although Tuiren only had eyes for Walter, she didn’t even notice the TREATS. Yum I love treats!,,,actually I love food! OMD! I LOVES THOSE!!! I gets a couple everyday!!! They are soooooo delish!!! You are two lucky doggies!! You WON!!!! WooHoo!!! What a great prize, yum, yum! Look at you! You’ve hit the jackpot! Enjoy!!! We are so happy that your mom didn’t make you wait too long! Those treats look so yummy! Congrats!! Those look like a very nommy prize!! We know M.K. Clinton through her books ~ I own them both & loved them! Happy munching! Those treats looked like they had wonderful smells!!! And we loved the expressions on your faces,,, and your smiles too! We love Munchies and MK! Great job reviewing these! Walter…your face in the second photo…what a hoot! Amazing that you are told to enjoy them and then get only one or two. Enjoy means to dig in! Congrats on the win and omnomnom, those treats look delish! Congratulations on your yummy treats!! CONGRATULATIONS on Winning that DELICIOUS Prize. 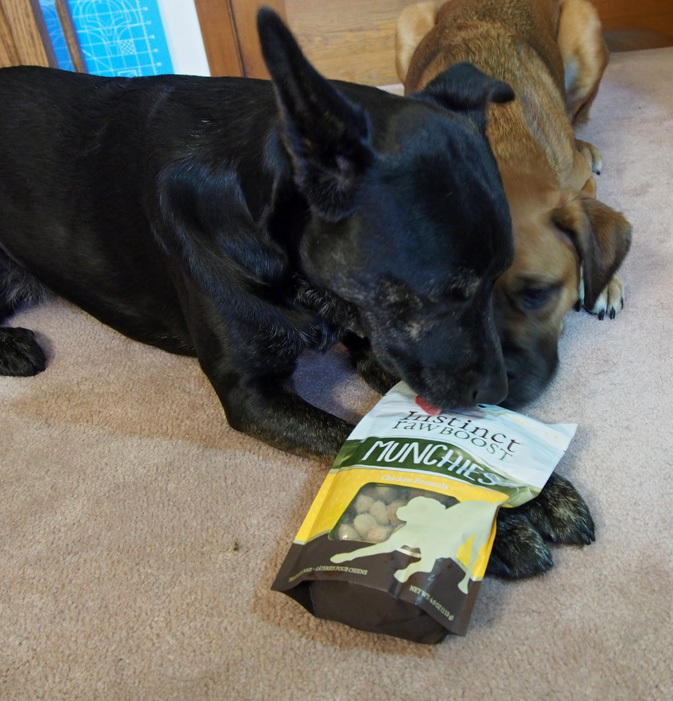 Bentley and Pierre Know the Good Treats that are out there..
Lucky you two! I’ve had Natures instinct stuffs before, but never these treats! Will have to see about having that corrected ASAP! 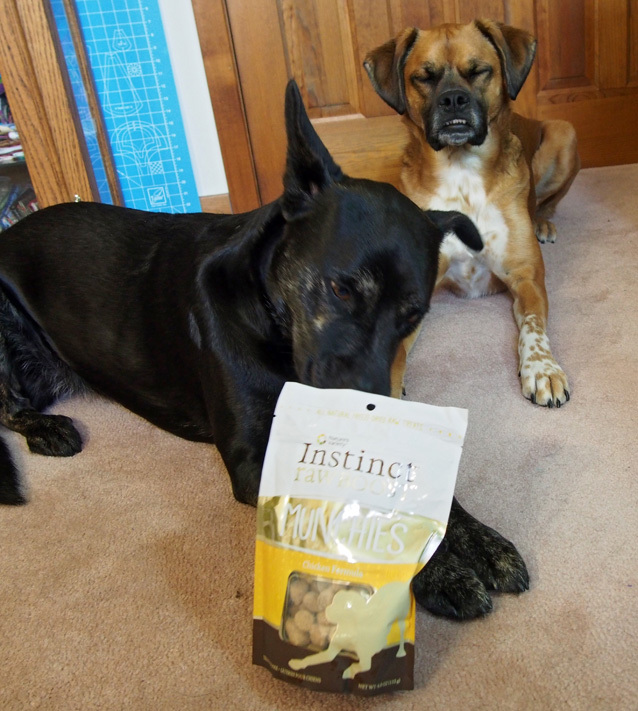 We knew you were “winners” even before this post 🙂 I love Instinct products, and I’m glad your pups got to enjoy them!!!! 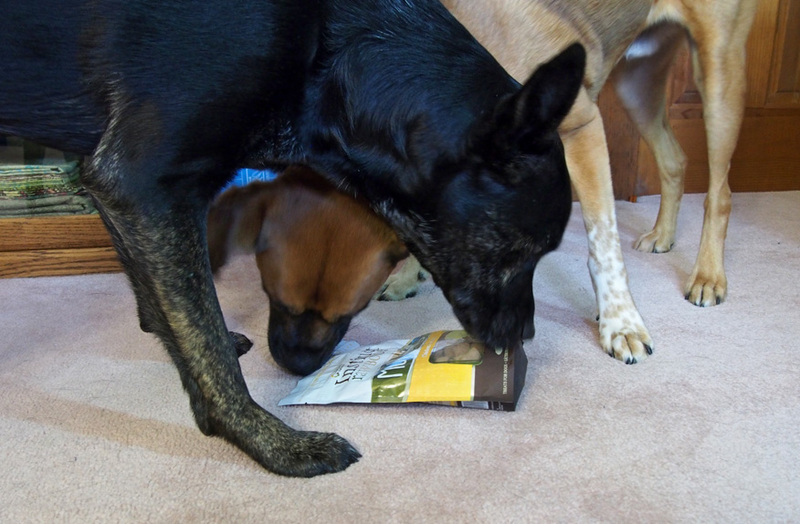 We just found y’alls blog–now we’re followin’ ya!… Boy, you pups were shore lucky to win dose treats– dey look so yummy! The treats look super yummy! Enjoy! Yay! We are so happy that you enjoyed them! I snarfed ours down as fast as Mom would let us! Thanks for the shout-out! ♥ P.S. I hope you enter to win Pierre’s birthday giveaway! Maybe you’re on a good luck roll!